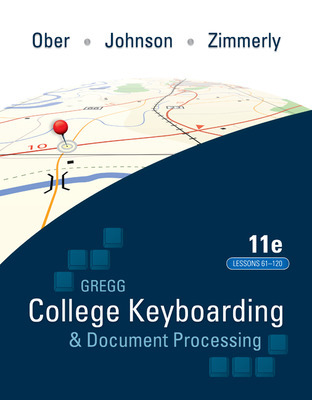 GDP/11 is an integrated keyboarding system designed to process and score documents created in Microsoft Word. Together, the book and software systematically lead students through each lesson to provide an easy path to success. As a solid product for over 50 years, this version of the GDP software has grown into an online functionality. The same program is now web-based with seamless updates to provide greater accessibility for use at home, in class, and in labs.